Hear, my son, the instruction of your father and don't forsake the teaching of your mother (Mishlei 1:8). Get into the habit of always speaking calmly to everyone. This will prevent you from anger, a serious character flaw which causes people to sin. As our Rabbis said (Nedarim 22a):Whoever flares up in anger is subject to the discipline of Gehinnom as it is says in (Koheles 12:10), "Cast out anger from your heart, and [by doing this] remove evil from your flesh." "Evil" here means Gehinnom, as we read (Mishlei 16:4): "...and the wicked are destined for the day of evil." Once you have distanced yourself from anger, the quality of humility will enter your heart.This radiant quality is the finest of all admirable traits (see Avodah Zarah 20b), because (Mishlei 22:4), "Following humility comes the fear of Hashem." Through humility you will also come to fear Hashem. It will cause you to always think about (see Avos 3:1) where you came from and where you are going, and that while alive you are only like a maggot and a worm, and the same after death. It will also remind you before Whom you will be judged, the King of Glory, as it is stated (I Melachim 8:27; Mishlei 15:11), "Even the heaven and the heavens of heaven can't contain You" -- "How much less the hearts of people!" It is also written (Yirmeyahu 23:24), "Do I not fill heaven and earth? says Hashem." When you think about all these things, you will come to fear Hashem who created you, and you will protect yourself from sinning and therefore be happy with whatever happens to you. Also, when you act humbly and modestly before everyone, and are afraid of Hashem and of sin, the radiance of His glory and the spirit of the Shechina will rest upon you, and you will live the life of the World-to-Come! And now, my son, understand and observe that whoever feels that he is greater than others is rebelling against the Kingship of Hashem, because he is adorning himself with His garments, as it is written (Tehillim 93:1), "Hashem reigns, He wears clothes of pride." Why should one feel proud? Is it because of wealth? Hashem makes one poor or rich (I Shmuel 2:7). Is it because of honor? It belongs to Hashem, as we read (I Divrei Hayamim 29:12), "Wealth and honor come from You." So how could one adorn himself with Hashem's honor? And one who is proud of his wisdom surely knows that Hashem "takes away the speech of assured men and reasoning from the sages" (Iyov 12:20)!? So we see that everyone is the same before Hashem, since with His anger He lowers the proud and when He wishes He raises the low. So lower yourself and Hashem will lift you up! Therefore, I will now explain to you how to always behave humbly. Speak gently at all times, with your head bowed, your eyes looking down to the ground and your heart focusing on Hashem. Don't look at the face of the person to whom you are speaking. Consider everyone as greater than yourself. If he is wise or rich, you should give him respect. If he is poor and you are richer -- or wiser -- than he, consider yourself to be more guilty than he, and that he is more worthy than you, since when he sins it is through error, while yours is deliberate and you should know better! In all your actions, words and thoughts, always regard yourself as standing before Hashem, with His Shechinah above you, for His glory fills the whole world. Speak with fear and awe, as a slave standing before his master. Act with restraint in front of everyone. When someone calls you, don't answer loudly, but gently and softly, as one who stands before his master. 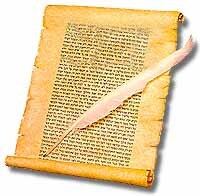 Torah should always be learned diligently, so you will be able to fulfill it's commands. When you arise from your learning reflect carefully on what you have studied, in order to see what in it that you can be put into practice. Examine your actions every morning and evening, and in this way every one of your days will be spent in teshuvah (repentance). Concentrate on your prayers by removing all worldly concerns from your heart. Prepare your heart before Hashem, purify your thoughts and think about what you are going to say. If you follow this in all your daily actions, you will not come to sin. This way everything you do will be proper, and your prayer will be pure, clear, clean, devout and acceptable to Hashem, as it is written (Tehillim 10:17), "When their heart is directed to You, listen to them." Read this letter at least once a week and neglect none of it. Fulfill it, and in so doing, walk with it forever in the ways of Hashem, may he be blessed,so that you will succeed in all your ways. Thus you will succeed and merit the World to Come which lies hidden away for the righteous. Every day that you shall read this letter, heaven shall answer your heart's desires. Amen, Sela! This translation is part of the Worldwide network of learning materials of Pirchei Shoshanim (c)1996.
or by telephone at 732-370-3344 or fax 732-367-6608.